Want a sleek, tailored ski pant that's not too tight? The Fera Heaven Insulated Ski Pant is super flattering, but still comfortable and easy to move in. The sleek, stretch fabric allows for complete range of motion. 60g soft touch insulation provides warmth without unwanted bulk. The critical seams are taped and the fabric is waterproof so frozen chairlifts and snowy benches won't be a problem. A wide stretch waistband provides a comfortable, accommodating fit. "Does this pant come in a 16 long length?" "Yes, this pant is available in a 16 Long. Click on size 16, and select Long from the drop down menu and add it to your cart! " "What is the inseam on 14 petite"
"The petite inseam is going to be approx 28.5""
"what is the length difference between a 10 reg and 10 long?" "The size chart does state that the long inseam is 2" longer than the regular inseam which is approx 30"." "What is the difference between the Lucy and Heaven pants? " "Both pants have the same waterproofing, breathability, amount of insulation, and critical seam sealing; and both pants will have the relaxed, flattering fit that Fera is known for. But there are minor differences. Both pants have a fair amount of stretchiness, the Lucy having a special stretch insulation. On the other hand, the Heaven has great insulation but with stretch fabrics for slightly more stretch. And the Heaven pant will have a slightly more tapered leg than the Lucy pant. There are also stylistic differences. The Lucy has belt loops and metallic buttons at the waist, while the Heave has a clean, stretch waist with neither belt loops nor visible buttons. There are also scuff guards on the Lucy pant while there are none on the Heaven pant. The lucy pant also features articulated knees to improve range of motion and a DWR coating to add extra protection against stains and water on the surface of the pant. 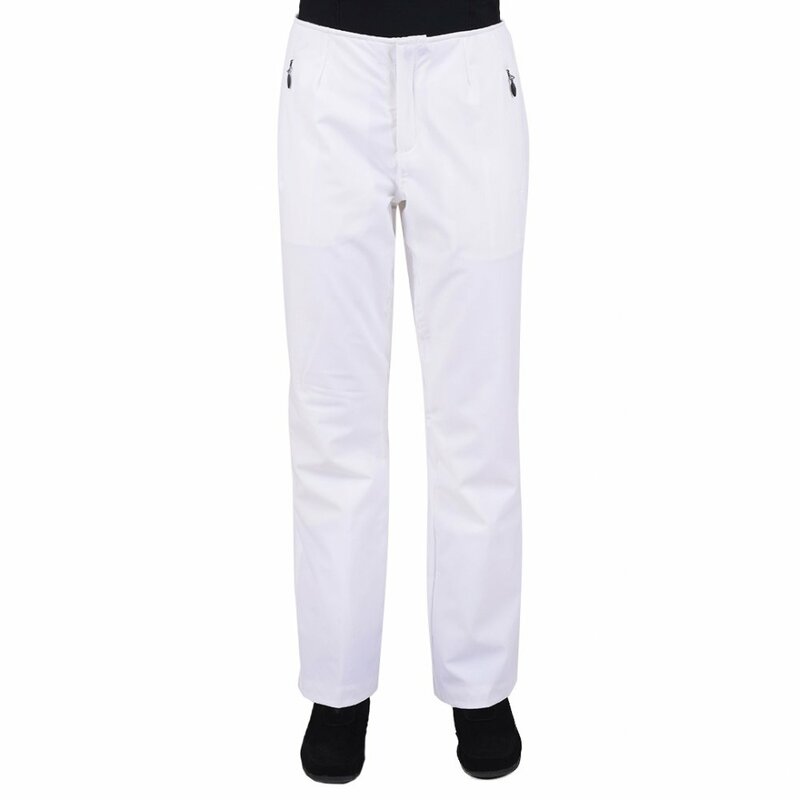 The Heaven pant does not have these features, though it is waterproof and designed for ease of movement. Overall, both of these Fera pants are great for skiing, and you can't go wrong with either choice. " "What is the inseam measurement on a size 6 Long?" "The long inseam is going to be about 32 inches. You can also view more information on our size chart!" "Im looking for buying my first's snow pant which i will use for snowbroading in Niseko. Im 153 cm (5'0 inch) and weight 46 kg (101 ibs) have apple body shape. Fera women's Heaven or Lucy short would be better for my condition ? And what size between 2 or 4? Thank you in advance "
"I would need a bit more information such as your hip and waist measurements to find the best size for you. However, based on the height information you provided you may want a petite inseam. You can view all sizing information on our size chart. " "Where does the waistline sit on the Fera Heaven pants?" "The waist on the Fera Heaven Ski Pant falls just below the belly button. " "Which pants have the least amount of insulation and are good for late spring skiing?" "The Fera Heaven is an insulated ski pant. Click HERE for the non insulated ski pants that we carry. Hope this information helps!" "The waist on the Fera Heaven Ski Pants a mid rise and falls just below the belly button. Hope this information helps!" "Should I order a size up, I'm 5'11", 130 lbs, normally wear size 2 extra long. " "For accurate sizing and measurements for the Fera Heaven Ski Pant, CLICK HERE to view the Fera SIze Chart. Hope this information helps!" "What is the inseam length for this pant - size 4 petite?" "Thank you for your inquiry. The petite inseam is 28.5 inches. We hope this information helps! " I am 5'1 and about 130lbs. I wear a 27 usually in jeans and bought the 6S. Most petite versions of pants are still too long for me, and I was pleased that this inseam was perfect so that I wouldn't ruin a beautifully made pant cuff on the slopes. I can't tell you how comfortable and flattering these are- I wore them ALL the time on our trip to the mountains this winter, skiing or not. They are warm and luxurious feeling- lined with a silky soft fabric with a wide and stretchy waist band that gives a slim smooth fit that never pinches or rubs. More than I wanted to spend on ski pants but I found that comparable products were similarly priced and nowhere near as comfortable and well made. I will wear these for years! I purchased these after trying on at least 4 other pairs of ski pants. They are trueasy to size, very warm, and flattering, but they are a low rise and I found myself constantly hiking them up, given the lack of belt loops. It is a mild annoyance, but next time I'll be searching for something with more of a mid rise and belt loops. Stretchy fabric great. Fasteners too cheap. The stretchy fabric is great, But compared to the same pants I bought about 4 years ago, the quality is way lower. The fasteners are much cheaper and the fit is different- I had to go up a size but the older ones size 6 still fit perfectly. I tried On several snow pants and these were the only ones that fit. The waist has a good amount of stretch to it. Make sure you check the inseam. I originally Ordered the petite/short and had to return for the regular length. My inseam is typically a 29. I have always hated ski pants. They're just not comfortable if you're short and curvy. These are unlike any I've ever tried on. I LOVE them!! They fit like a glove. I highly recommend these pants. These ski pants were very comfortable, flattering and well equipped. I decided to go with the NILS Betty, however, because they were a shell rather than an insulated pant. This past weekend I skied in 10-25 degree, windy weather with these pants. They were completely warm and very comfortable. They kept the wind and cold out! They did not bind anywhere, the waist is very seamless and comfy. I am 5'2'' and weigh about 180 lbs. I ordered a size 16 based on my measurements (I usually take a 14) and the 16 fit perfect. If you are thinking about getting these, they are a great purchase. The price is a little steep, but the quality is excellent. I don't foresee having to buy another pair of ski pants for many years. Finally, a pair of ski pants for a petite woman that are not too long. Size is accurate to size chart. Very pleased with Quality & Fit of these ski pants. I'm 5'1" so glad to be able to order the short lenght. Fits true to size, I ordered a XL and its a 12-14. Great stretch and comfort. This is a great ski pant with a slenderizing cut and flexible waste fabric for comfort. These fit like they say they will. These pants have taken a beating at big sky this week. They look fantastic. They feel great! I wanted to stop every curvy women in the lift line who was stuck with oversized, unstretchy, bulky, baggy ski pants and tell her to GET THESE PANTS! At 5'1" and 105lbs. this pant fit perfectly! Not too long, too baggy, or too tight! These ski pants stretch like no others I have owned. Had to buy the long length, as the regular are really short. They run a little big so size down if in between sizes. I would buy this pair of pants. I loved these pants; however, the size six was too large (I wear a size four). The fabric was soft and very warm. Love these pants! They are comfortable, warm and stylish! These pants are so amazing and comfortable! These pants are very nice quality. I've always purchased FERA brand but these I felt ran big. I could have used a 4 short but I didn't have time to send them back before leaving for a ski trip. I'm 5 foot 113 pds. They still looked good. These ski pants are ridiculously comfortable. I searched for the perfect pair for a petite frame. I'm 5'3" and their "short" version fits perfectly and I don't have extra fabric dragging along on the ground like I did before. Flattering fit, comfortable stretch material. Stylish and warm pants. Inseam choices helpful for petites. Highly recommend!